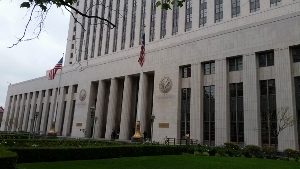 For Directions to the U.S. District Court - Los Angeles - First Street, please click here. For Directions to the U.S. District Court - El Centro, please click here. U.S. District Court - Los Angeles - Spring St.
For Directions to the U.S. District Court - Los Angeles - Spring Street, please click here. U.S. District Court - Los Angeles - Temple St.
For Directions to the U.S. District Court - Los Angeles - Temple Street, please click here. 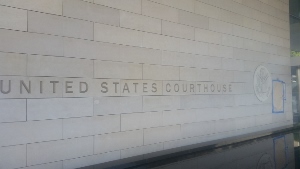 For Directions to the U.S. District Court - Riverside, please click here. For Directions to the U.S. District Court - San Diego - Edward Schwartz Court, please click here. For Directions to the U.S. District Court - Santa Ana, please click here. For Directions to the U.S. District Court - Santa Barbara, please click here. For Directions to the Valley Plaza Infractions Courthouse, please click here. For Directions to the Van Nuys Courthouse West, please click here. 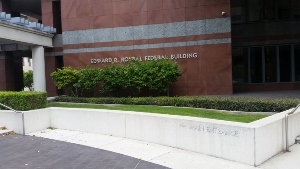 For Directions to the Van Nuys Courthouse East, please click here. For Judicial Profile Lists for Courthouses Ventura Hall of Justice to Winterhaven Court, please click here.